The North Carolina limited learner permit is the first stage of the state's graduated driver's license (GDL) process for teens under 18 years old. The GDL process involves several licensing stages, each with eligibility requirements and driving restrictions. You have 60 days to transfer your out-of-state learner's permit or driver's license when you move to North Carolina. Are 15 years old to under 18 years old. Have an out-of-state permit or license. To apply for your North Carolina learner's permit, follow the steps outlined below. If you're younger than 18 years old, you must successfully complete driver's education before you can obtain your learner's permit. If you haven't completed Driver's Ed in another state, you will be issued a temporary learner's permit, until you complete the requirements for NC. Contact the Division of Motor Vehicles at (919) 715-7000 for more information on new resident driver's licenses and permits. Show your driving eligibility certificate, proving you've completed Driver's Ed. Official school transcript signed by a school representative. Have your parent or guardian sign your application form. Pay the $20 fee (can be paid by cash, check, or money order). Identify traffic signs by their shapes and colors. Describe the meaning of each traffic sign. You can prepare for the permit tests by studying the North Carolina Driver’s Handbook. The DMV also provides a basic practice test. You face several restrictions when driving with a North Carolina learner's permit. You MUST be accompanied by your licensed parent, guardian, or other adult that has been granted permission. Your supervisor must have held a valid driver's license for at least 5 years. Your supervisor must be seated in the seat next to you. You can only drive from 5 a.m. to 9 p.m., for the first 6 months. After this period you may drive at anytime (but you must still be supervised). All passengers must be wearing a seat belt or be seated in a child safety seat. You must NOT use a mobile phone while driving, except for in emergencies. While you have your learner's permit, the NC Division of Motor Vehicles requires that you complete 60 hours of supervised driving practice. Include 10 hours of driving at night. Keep a record of your practice hours on the Driving Log to Advance to N.C. Level 2 Limited Provisional Driver License (Form DL-4A). Record no more than 10 hours per week of practice driving on your driving log. The next stage of the North Carolina GDL process is the limited provisional driver's license. Held your North Carolina learner's permit for at least 12 months. Logged the required behind-the-wheel practice hours. Maintained a clean driving record for the last 6 months. Identity/Date of Birth/Legal Presence/Lawful Status. North Carolina address (multiple documents required). If you are not sure what documents are acceptable to bring in for any of the above requirements, the North Carolina DMV website has a table with complete lists. 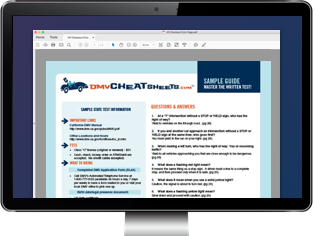 For more information about the limited provisional driver's license and other GDL licensing stages, see our page Applying for a New License (Teen Drivers) in North Carolina. Use this form to log your hours of supervised driving practice as part of advancing to a Level 2 NC provisional license.